As you can see, this is a chicken. To be more precise, this is the head of that chicken. Where’s the rest of this – not be able to fly, only good to be eaten – bird? At that moment, the body was ready to be placed in a hot oven by my grandmother. Indeed, I didn’t do it, but my grandmother did it. If you have a look at my About Pierre page, you will read that my grandmothers (and my mom) inspired me. 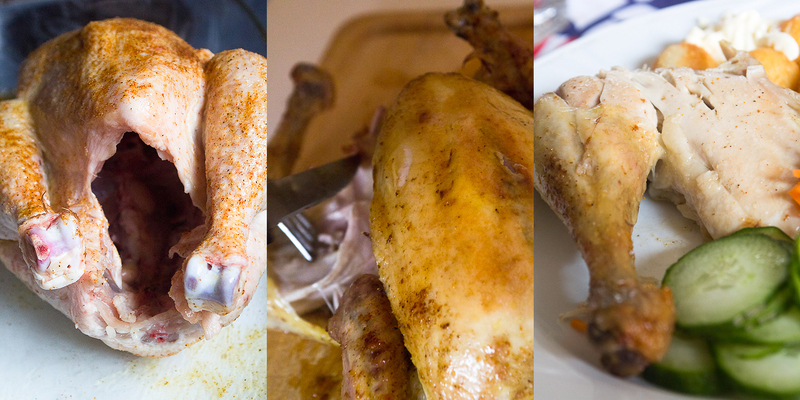 One of the best recipes is her recipe for roasted chicken. When I asked her to write down and send me the recipe, she said “It’s really not a special recipe and it’s really easy, so why do I have to write it down?”. I told her that it’s not my intention to share a very difficult recipe. It’s just that this dish is a dish with a deeper sense. Let me explain you this deeper sense. I guess that everyone has a favorite Grandmother’s dish. When my sister and I still went to primary school, we went once or twice a week for lunch to my Grandmother. 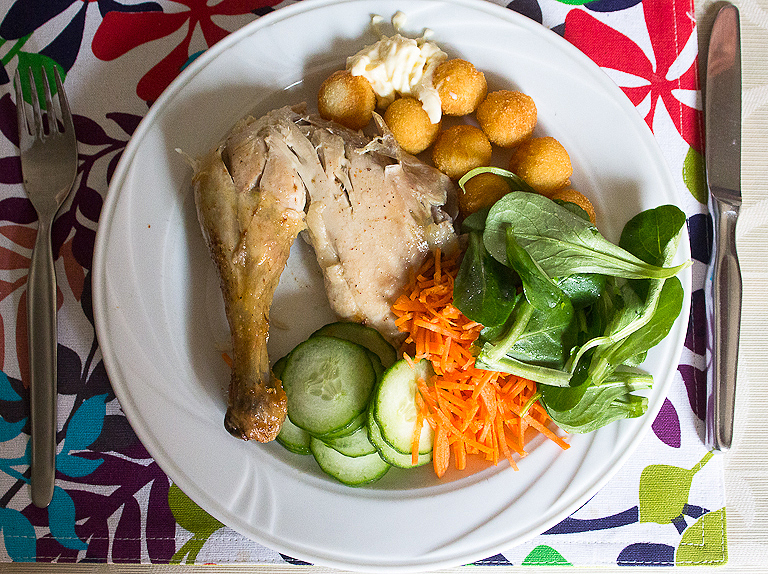 The famous roasted chicken was a three weekly tradition. There were always freshly grated carrots, sliced cucumbers and deep-fried potato dumplings. My sister always had a chicken wing, I ate a chicken leg. When there were two potato dumplings left, my grandfather and I shared them. When my sister and I went to secondary school in an other city, we only went for lunch to my grandmother in the holidays. One tradition didn’t change, the chicken. Now, my sister and I, we both moved to an other city after university. 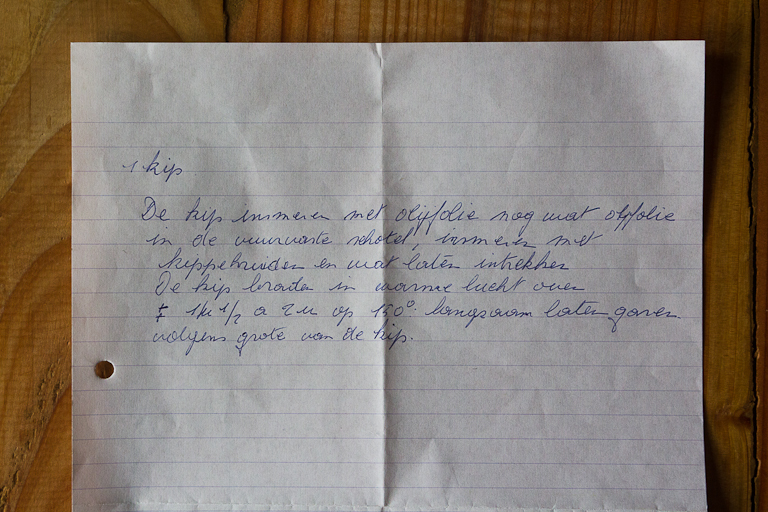 I live in Ghent, she lives in Leuven. So we don’t go a lot anymore to our grandparents. When my sister or I do, we sometimes ask to prepare the famous chicken and they always do. It’s clear that this recipe contains nostalgia, history and a lot of memories. **** A chicken of very very very very good quality: as you can read, you really don’t need a lot. That’s why it’s so important that you have a very good chicken. I’m working on a list with so-called very good food suppliers. Butchers, bakeries or vegetable shops where they have really good products. I know that The list is still in the pipeline. For the Belgian readers, I know that they have a very good and famous poulterer in Ghent, called Diegenant. For the readers of my hometown Wervik, my grandmothers always went and still goes to a farmer, called “La ferme des bois” in Wervicq-Sud, in the Nord of France. The chickens are bigger, aren’t forced to grow and taste much better. It’s a bit more expensive, but it’s worth. What do you do? Start with the chicken. 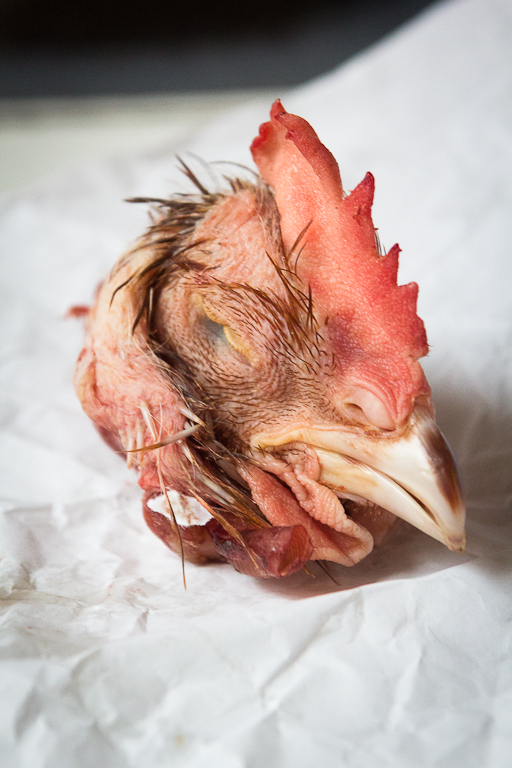 Cut of the head, clean the chicken and take out the intestines. Drizzle the chicken with olive oil and season well with the chicken seasoning, salt and pepper, rubbing it all over the bird. Place the chicken in a roasting tray with some extra olive oil. Leave the chicken alone for 15 minutes. In the meanwhile preheat the oven on 150°C. 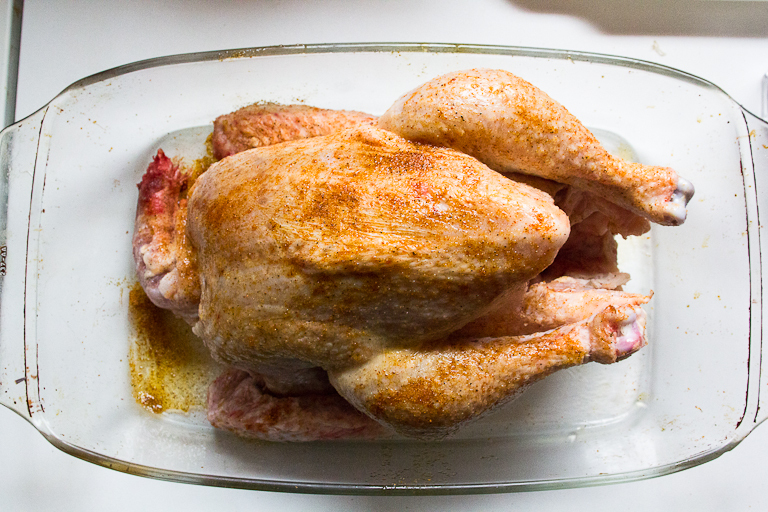 Place the roasting tray in the oven for 1,5h-2h depending of the size of the chicken. When the chicken is ready, enjoy!
! A Belgian company, Vol-au-vent VZW, is working on an international project about Grandmother’s kitchen, called “Grandma’s Design – Revisiting Europe’s baking heritage”. More news to come.